Boasting a history of 20 years, ADEX has been and is still the biggest and longest-running dive expo in Asia, with the claim of being a “must-attend” event. From across the globe, it brings together distinguished VIPS and speakers, business owners, dive operators, enthusiasts, marine conservationists and all those with a passion for the underwater world. 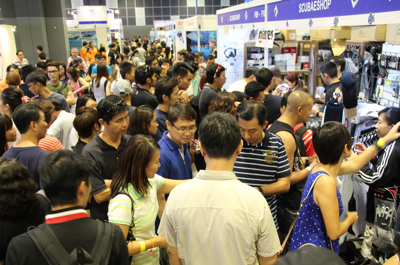 It is an event endorsed by major organisations in the industry, such as DEMA Show (USA), Singapore Tourism Board (STB), and Singapore Underwater Federation (SUF).Successfully organised by the Underwater3some Group (UW3some) for more than five years, ADEX continues to attract strong crowds of exhibitors and icons representing the whole spectrum of the dive industry, drawing enthusiasts who wish to catch a glimpse of the professionals, their sophisticated gadgets and latest masterpieces. ADEX 2015 attracted more than 40,000 visitors over the three event days. 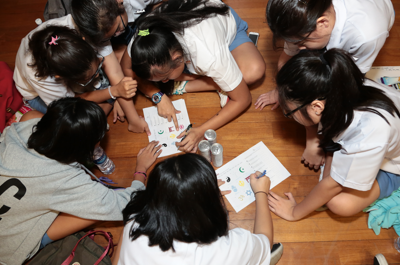 Now, in its sixth installation, the BBC Knowledge Magazine School Challenge sees a consistent number of participants from various esteemed secondary schools in Singapore. As with past years’ editions, the event was held over two days, with the first day being the qualifiers. Participants formed groups of four to tackle 50 multiple-choice questions within the span of one hour. The questions were based on nature, science and history topics discussed in previous issues of BBC Knowledge Asia magazines. All students were encouraged to have read the magazines as well as current affairs affecting the world to comprehend and answer the questions correctly.The top ten teams that scored the highest on the first day managed to clinch a placing for the competition held on Day two. Five debate topics were chosen by random and the teams had 24 hours to prepare a short yet concise presentation. This segment tested their abilities to work fast, fluently, factually and creatively. Asian Geographic Hot Soup School Challenge was successfully held on 11 July 2015. 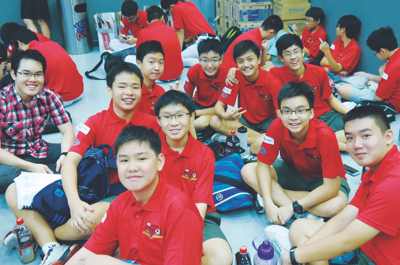 Hot Soup is an inter-school quiz competition held annually for secondary schools in Singapore. The event, which saw over 30 teams participating, was held at *SCAPE off Orchard Road. Each team was made up of four students, and 2015’s champion was Raffles Institution (RI). The students won a 5D4N educational trip to Lombok, Indonesia. Hot Soup is in its fifth year running and is a quiz to test the students on their knowledge of Asian history, civilisation, culture and heritage, answers of which can be found in the Asian Geographic Magazine. We would like to thank the participating schools, sponsors, and once again, congratulations to the winning team! 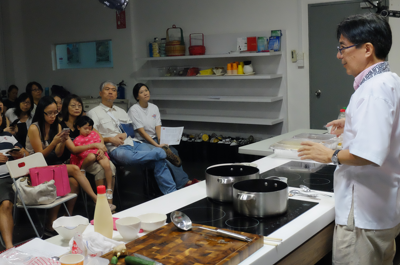 Held at Miles Media Cooking Studio, Chef Takashi inspired participants with a fuss-free and healthy Japanese cooking workshop.There, Chef Takashi Nakaya showed keen attendees how to whip up easy Japanese meals at the comfort of their own homes. Participants warmed up fast to the affable chef as he began the session by sharing the current food culture in Japan. After the demonstration is over, all participants savoured a portion of chef’s creation. “We like how this Japanese meal is simple to follow yet delicious! Little time is needed to cook this dish, and the ingredients are easily available too,” shared Cheryl, a satisfied participant. “This is my first time attending a cooking workshop, and I will definitely return home to try recreating the recipes,” said, Michelle, another inspired participant. 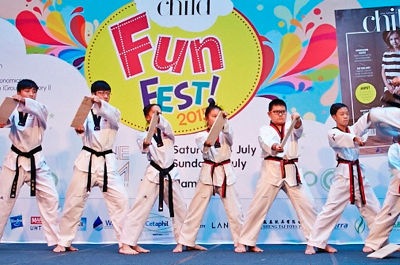 Held on 4 and 5 July at OneKM Mall, Singapore’s Child Fun Fest 2015 began and ended on a high! Just like previous years, the main highlight of the two-day event was the crowning of our Singapore’s Child Superstar! Dressed just like real-life superstars in retro outfits, the top 19 contestants of Singapore’s Child Superstar graced the runway with beaming confidence, while striking their best poses flawlessly. Other fringe activities included I Can Read® Page to Stage Competitions, and captivating Taekwondo performance by Taekwondonomics. Previously known as the Teenage K-pop Dance Challenge, the popular event has rebranded to Teenage Dance Challenge which aims to continue its mission of providing a stage for young, aspiring talents in pursuit of their passion for dance since its inception in 2010. 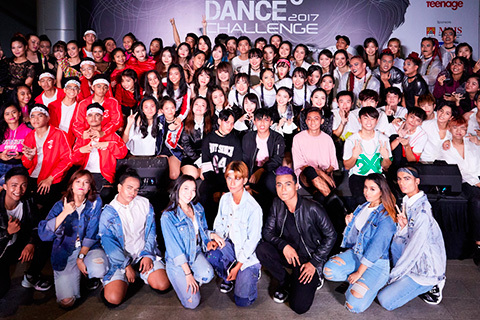 The 2017 annual dance competition has opened the dance floor to two main categories – Rookie (13 to 16 years old) and Open (13 to 25) – where contestants battle it out in street dance style, whether it be grooving along to R&B, showing off your best hip-hop moves or mixing it up with K-pop tunes. In addition, a new category for ‘K-pop Dance Cover’ has been introduced to allow K-pop hopefuls to recreate the choreography of their favourite acts and take it to the next level.